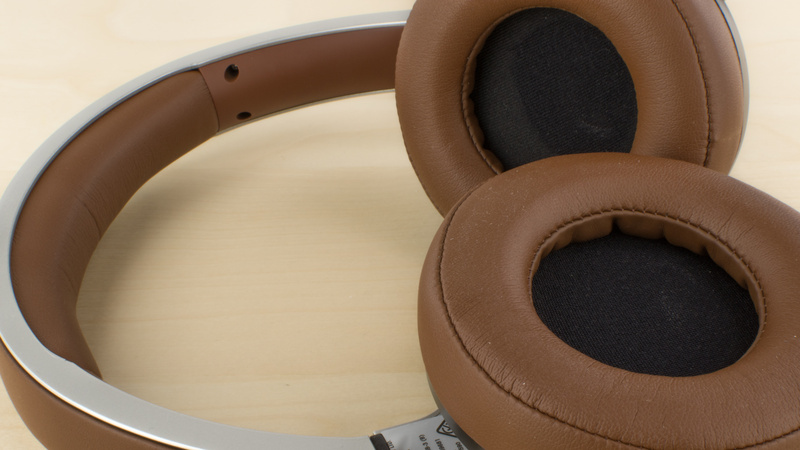 The Creative Aurvana Platinum Wireless are sturdy headphones with capable noise isolation. Unfortunately, audio reproduction is unbalanced and exceedingly bass heavy. They also leak a lot of sound and may distract the people around you at high volumes. 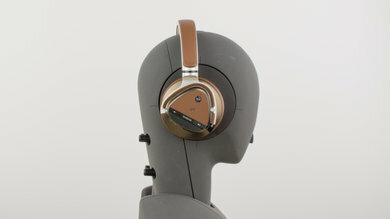 The Aurvana Platinum are stylish but uncomfortable headphones. Their robust build is sturdy enough to handle a fair amount of physical stress and the control options provided are above average. 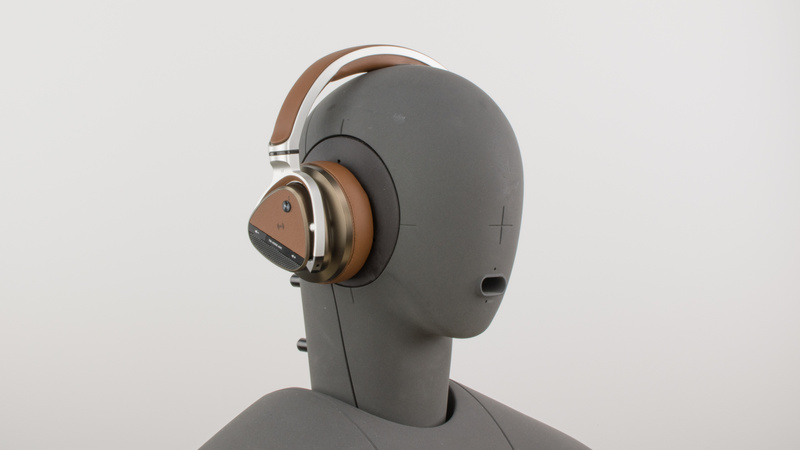 However, the rigid headband constricts the head and exerts a lot of uncomfortable, clamping pressure, which is a problem during long listening sessions. The Aurvana Platinum has the same design as the Aurvana Gold but a different two-tone silver and brown color scheme and a few tweaks in the button layout. They are still a little bulky, but the visually pleasing color accents and plush padding make them stylish enough to wear in public. The pressure the Aurvana platinum exerts on the head is uncomfortable, especially after long listening sessions. 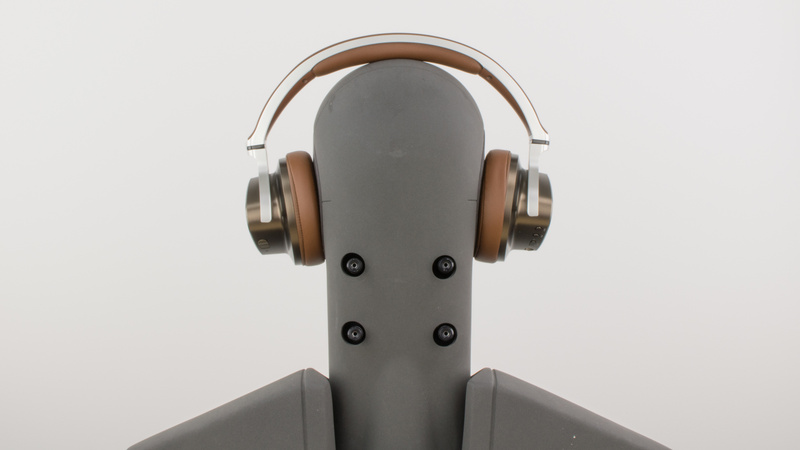 The padding is relatively soft and the ear cups are large enough to encompass most ears well, but unfortunately the rigid frame has a lot of tension. This will be unpleasant for most and even worse for larger heads. Button layout and functionality is decent but not great. 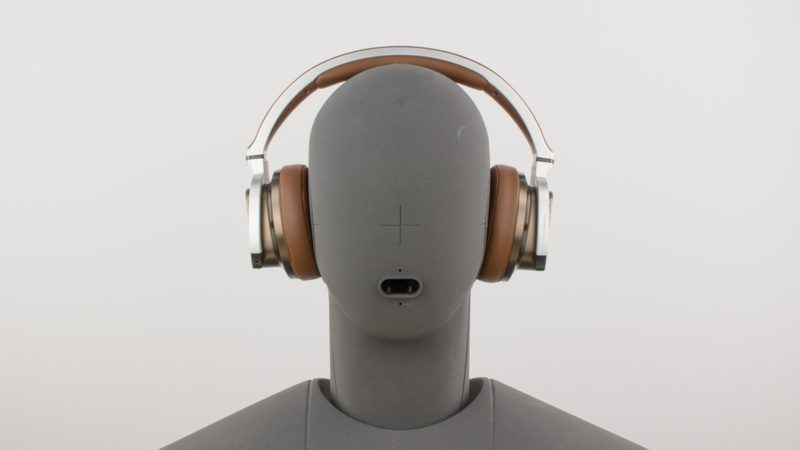 The functionality and control options offered are above average; call/music, track skipping, volume and noise cancelling modes can all be found on the right ear cup. Unfortunately, some of the buttons do not provide much tactile feedback and are harder to use intuitively. 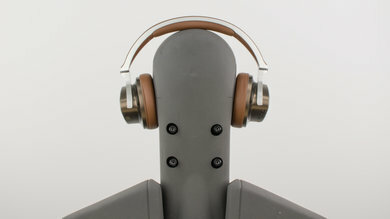 These headphones are not stable. The bulky and heavy ear cups of the Aurvana Platinum sway as you tilt your head. The tight fit can maintain the headphones in place during casual use, but they will quickly fall off your head during any physical activity. On the upside, they are wireless and will not be pulled off your head because the audio cable got stuck on something. The Aurvana Platinum, like the Aurvana Gold, that share the same design are bulky headphones that are hard to carry around. 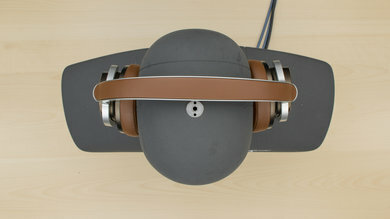 Fortunately, the ear cups lay flat to take up less space. Sadly they don't fold up into a more compact format, which makes them cumbersome and occupy a lot of space in a backpack. They won't comfortably fit in handbags are way too big for pockets even larger jacket pockets. 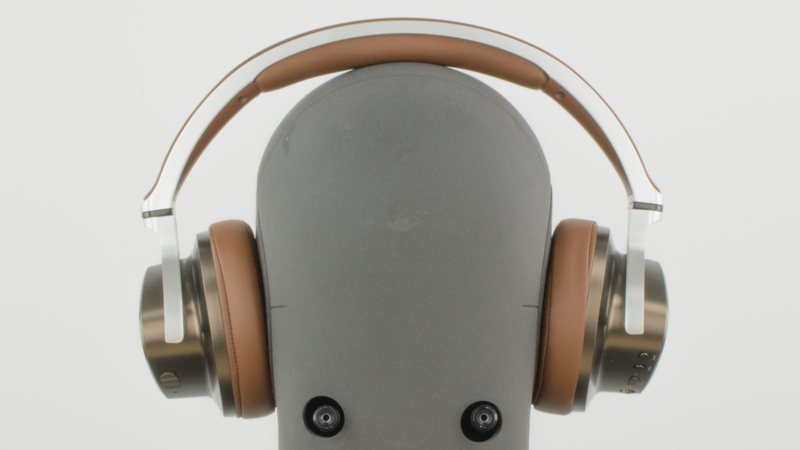 Comes with a soft pouch that does not add much bulk to the headphones and protects them from scratches but not from falls. Build quality is solid. 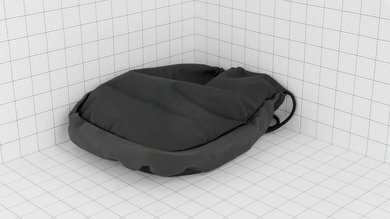 The frame is made out of dense plastic that feels durable and robust enough to handle a fair amount of physical stress. The ear cups are also dense enough to not crack after a few drops. 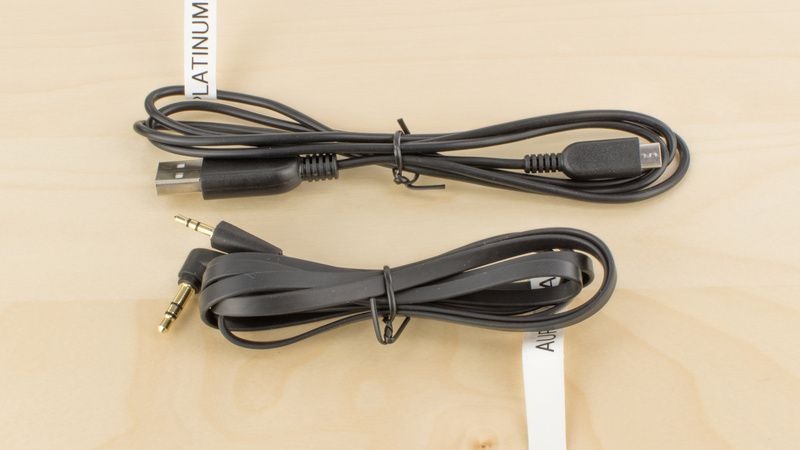 Comes with two cables; a 1/8"TRS-1/16"TRS audio cable and USB charging cable. 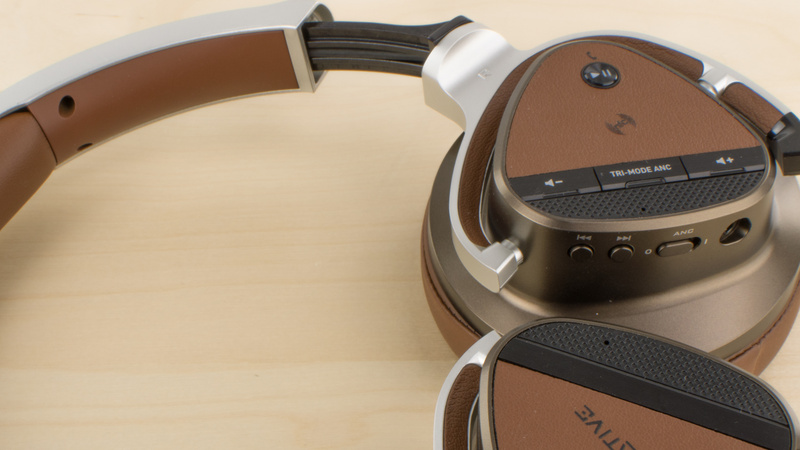 The Creative Aurvana Platinum is a poor sounding pair of closed-back over-ear headphones. The have an overly emphasized Bass, which sounds quite boomy, they have a Mid Range that sounds cluttered and muddy, and a Treble that lacks presence and brightness. Additionally, the have a mediocre distortion and a poor Soundstage. On the plus side, they perform quite consistently across difference users. 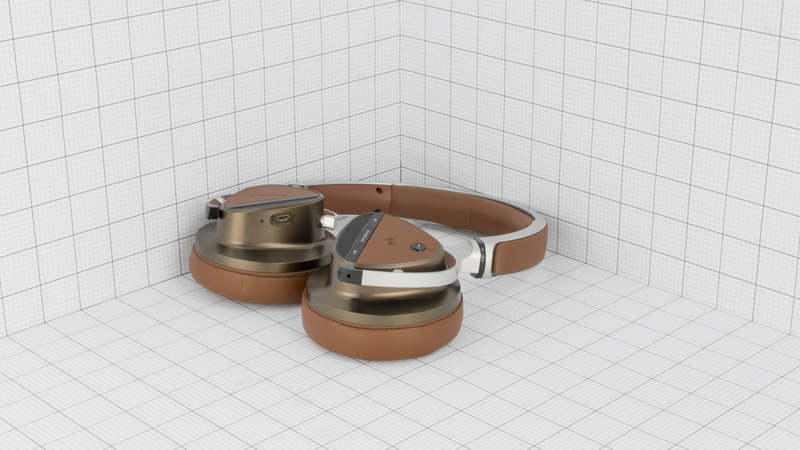 The active noise cancellation of the Aurvana Platinum is efficient enough to cancel a decent amount of ambient noise. 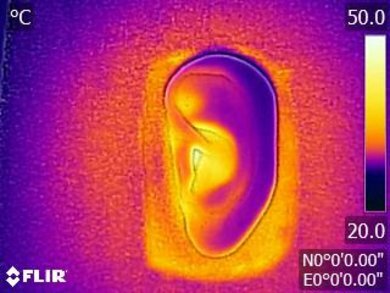 They have different cancelling modes and should be able to handle the noise level of an office-like environment but have a more difficult time in louder surroundings. 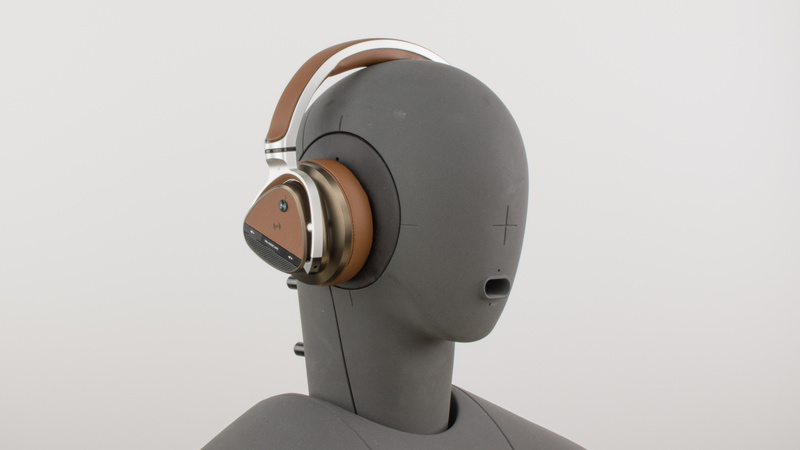 The plush ear cups add some passive isolation but the seal leaks a lot of sound, especially at high volumes. Average isolation. 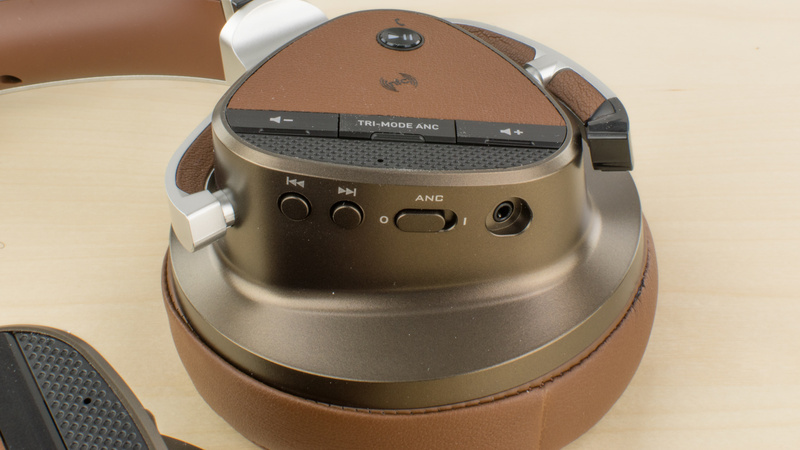 The Aurvana Platinum come with three different noise cancelling modes. Based on our tests, the difference between the modes is small and mostly in the mid-range. The results shown here are from Mode I, which scores better than the other two. Also, this seems to the same algorithm used in the Aurvana Gold, since the results are virtually the same. The passive isolation is very good and effective down to 600Hz. The ANC (Active Noise Cancelling) kicks in at around 600Hz and performs decently in cancelling lower-frequency noise. Poor leakage. 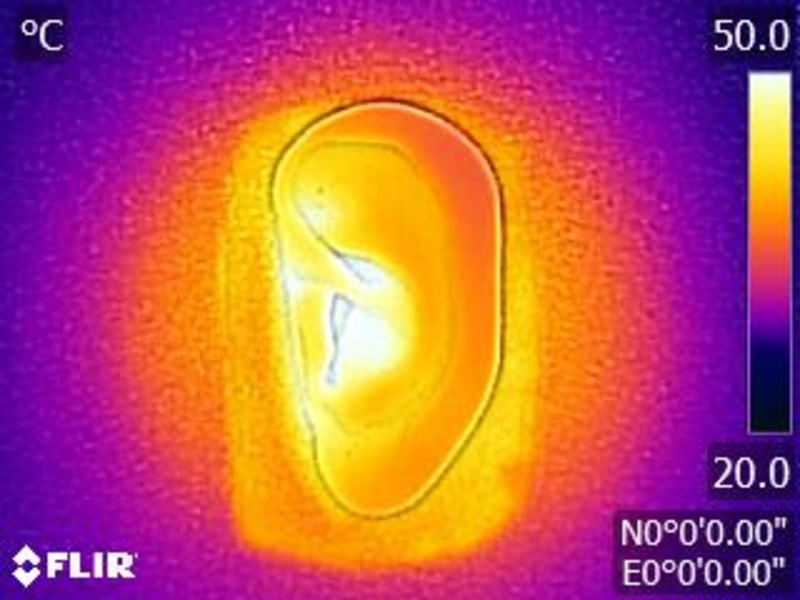 The leakage is virtually identical to the Aurvana Gold's. It covers almost the entire mid-range, and is loud. The Aurvana Platinum have a decent set of active features and above average battery life. They last about 14 hours playing audio continuously with noise canceling turned on. However, they do not have many power saving features and below average wireless range. The Aurvana Platinum have a short, disappointing wireless range, especially, for full-sized headphones. They perform worst than the Gold model and barely reach more than 25 ft when the Bluetooth source was obstructed. This may be due to the density of the ear cups obstructing the receiver. On the upside, they offer NFC and dual device pairing, which makes them relatively easy to pair and to switch between you most used devices. The Aurvana Platinum have an average battery life that will last around half a day of continuous playback. 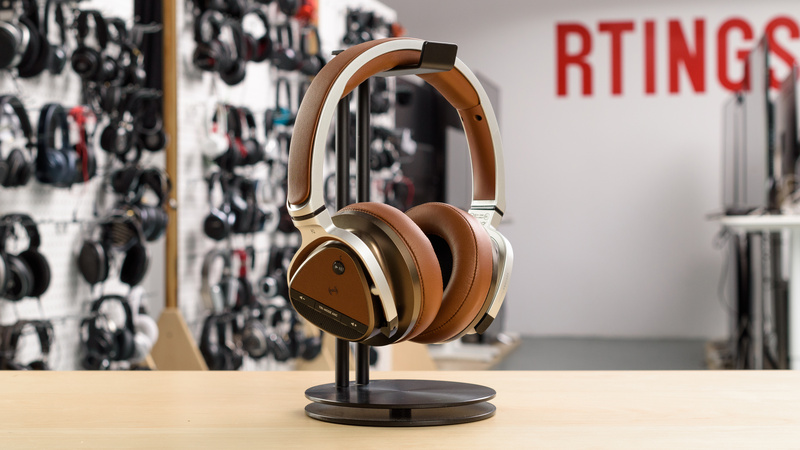 They charge relatively fast and can continue streaming audio at the same time. However, they don't have an auto-off timer, so your battery will keep being drained even when you're not using them. 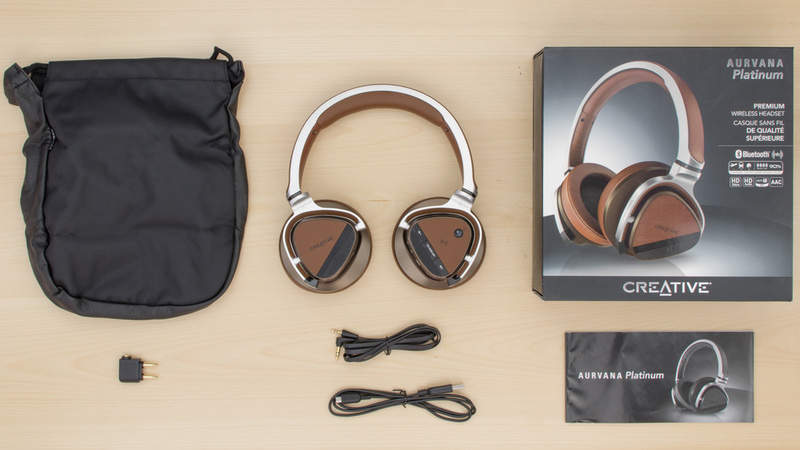 The Aurvana Platinum are below-average everyday headphones. They have a lot of features, but they're bulky and leak a lot. This prevents them from being sufficiently well-rounded for everyday casual use. Not suitable for critical listening. Their audio reproduction is too bass heavy and the closed back design limits their sound stage. They're also uncomfortably tight. Average for commuting. They're wireless and have a somewhat competent control scheme. Their noise-cancelling is also efficient enough for noisy commutes. However, they get uncomfortable on your head relatively fast. Too bulky for sports. They're tight on your head, but the big ear cups are unstable. They're too cumbersome for most physical activities. Average for the office. They do block a fair amount of ambient noise but leak a little too much for office use.